The global market for digital music will grow six-fold by 2010, when it will be worth $14.9bn (£7.7bn), figures from analyst company iSuppli show. iSuppli predicts a healthy increase for both broadband-based services such as iTunes, and music for mobile phones. The competition between different services is expected to get tougher as more companies want to enter the digital music market and make profits from it. "Mobile music has been driven by the emergence of ringtones and ringtunes, which now have grown into significant markets. The mobile music market is now migrating to full-track music downloads," according to Mark Kirstein, vice president of multimedia and client services at iSuppli. Apple has played a large role in creating the mass market for internet- and mobile based music, the report states. The digital music market is predicted to increase by 40.7 per cent per year, based on the $2.7bn (£1.4bn) it generated in 2005. At the same time, sales of physically distributed music, i.e. music CDs, will fall from $273 billion in 2005 to just $19.6 billion in 2010, the prognosis shows. iSuppli predicts that mobile services will become increasingly important as traditional sales drop. 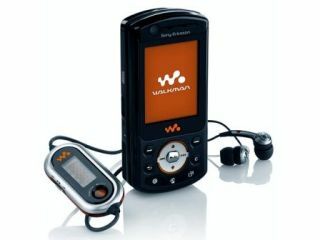 "Music-enabled phones already [outsell] MP3 players by a factor of more than two to one," Kirstein said.